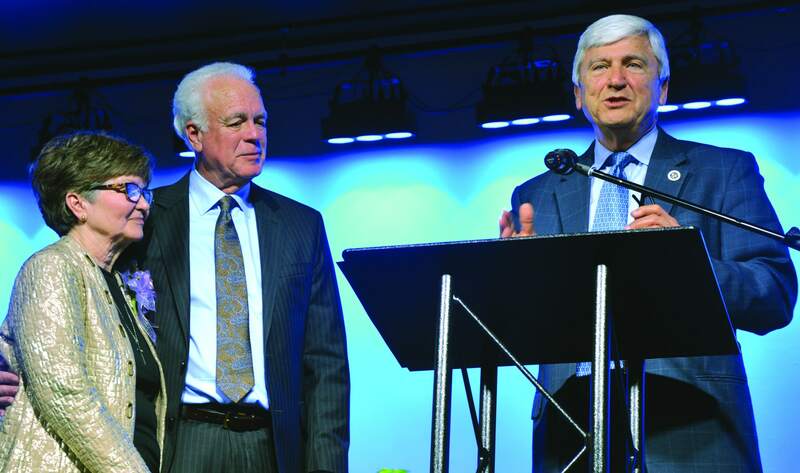 NASHVILLE, Tenn. (BP) – Executive Committee members, Southern Baptist Convention entity heads and other guests gathered in Nashville, Tenn., Feb. 21 to inaugurate Frank Page as the SBC Executive Committee’s sixth president. 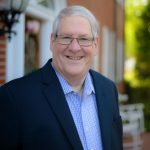 [img_assist|nid=7129|title=Frank Page|desc=|link=none|align=left|width=73|height=100]Page officially assumed the position Oct. 1 after serving 30 years as a pastor and in various denominational roles, including SBC president. 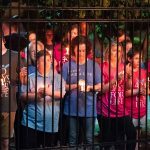 Guests were led in worship in the Van Ness Auditorium at LifeWay Christian Resources by Travis Cottrell, and several of Page’s colleagues spoke and prayed for him. Roger Spradlin, chairman of the Executive Committee, presented Page and his wife Dayle with a certificate of inauguration, listing his many accomplishments within the Southern Baptist Convention through the years. 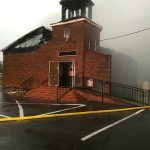 Page also has the heart of an evangelist, said Spradlin, pastor of Valley Baptist Church in Bakersfield, Calif.
“Frank regularly shares his faith. You can ask him anytime to share a story with you, and he will share a very current story, just something that happened in the last few days or few weeks at the most, of sharing his faith. And he encourages everyone around him to do so as well,” Spradlin said. The new Executive Committee president has a leader’s heart and a servant’s heart as well, Spradlin told the group. 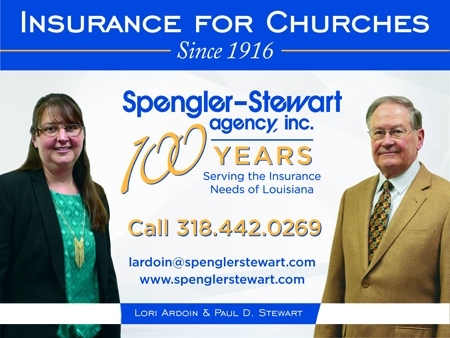 Page delivered a statement of his vision for the office, saying he wants to have priorities that would please the Lord. “I really will be quite happy when tonight is over because I’m not real comfortable with this kind of attention, to be quite honest with you,” Page said. “I would be quite happy if you would forget me and remember our Lord. 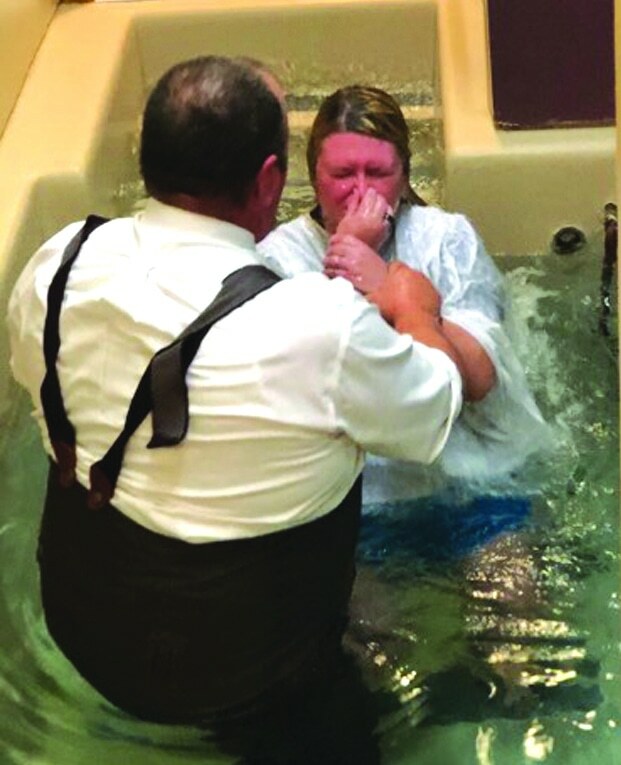 “But God has called me to this position, and I am honored to be a part of this. So I speak to you tonight about a simple, biblical vision that I think the Lord brought to my heart,” Page said, pointing to Genesis 12, the passage where God promises to make Abraham into a great nation and bless him so that he can be a blessing to others. “I think that God’s call upon Abraham’s life is precious, but is it not true of all of us, that God called us to be saved and God called us to serve Him in some capacity, shape, form or fashion?” Page said. In addition to blessing Abraham, God made demands of him, Page noted. 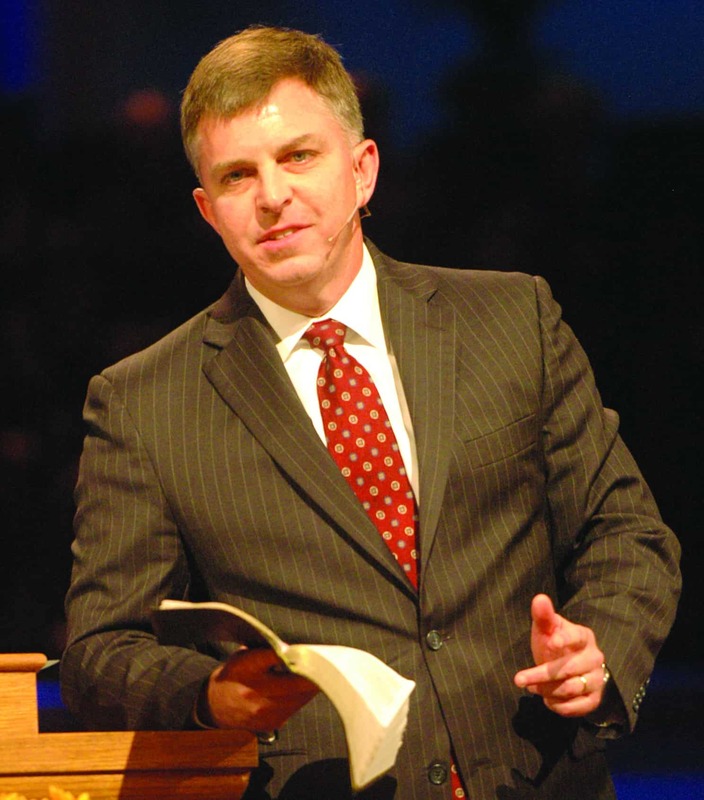 Just as God’s demands upon Abraham’s life were lifelong, Page believes God is not finished with Southern Baptists. “I know these men who are getting ready to speak are going to say some profound things to us, things we need to hear. But I just want you to remember with me tonight God’s vision for us is that He will bless us, but He wants us to be a blessing as well,” Page said. Thomas Hammond, personal evangelism team leader for the North American Mission Board, delivered the inauguration message. Preaching from Mark 2, Hammond encouraged Page to model the qualities of the four friends who took their paralyzed friend to Jesus for healing. Those four men were willing to adapt their actions to meet the friend at his point of need, to do whatever it took to help him, and worked together in unity, Hammond noted. 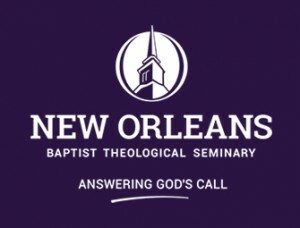 Southern Baptists “are in desperate need of change,” with many churches plateaued or declining and many leaders disagreeing about the best way to bring renewal, but God is ready to do a new work and Southern Baptists’ best days may be ahead, Hammond said. 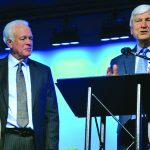 Page’s personal ethos of servant leadership is the kind of leadership Southern Baptists need to adapt to a changing world and be effective at fulfilling the Great Commission to make disciples, both in North America and around the world, Hammond said. Morris H. Chapman, president emeritus of the Executive Committee, presented the Pages with a clock for their mantel to remind them of the value of time and the lessons Jesus taught about it. “Jesus would say, ‘If there’s one thing we need to remember about time, it is to live in the moment of the time you have that day.’ Therefore, do not worry. And in Matthew, the Lord gives us all of the things about which we should not worry, and when the list is complete, there is nothing else about which to worry,” Chapman said. Proverbs 27:1-2 admonishes readers not to boast about tomorrow because a person does not know what a day may bring, Chapman said. 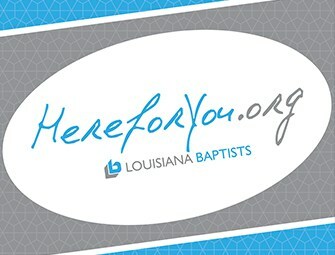 Rick Lance, executive director of the Alabama Baptist State Board of Missions, delivered a charge on behalf of Page’s colleagues at the 42 Baptist state conventions. He challenged Page to remember that being a follower of Christ is a prerequisite to being a Christian leader. Ed Stetzer, vice president of research and ministry development for LifeWay Christian Resources, delivered a charge on behalf of Page’s colleagues at SBC entities. 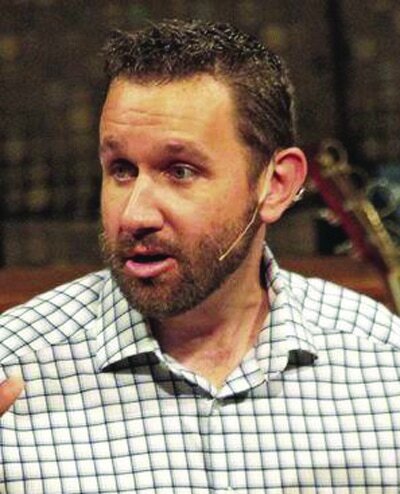 Stetzer reflected on the “courage and conviction” Page demonstrated when he was elected Southern Baptist Convention president at Greensboro, N.C., in 2006 and called on Page to help Southern Baptists move past their differences toward common goals. — Stand to make it true that we are all about missions. “Call churches to long-term partnerships overseas and in North America. 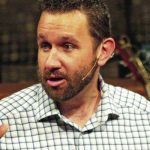 Missionaries are exhausted by our whirlwind, low-commitment travel hopping,” Stetzer said. 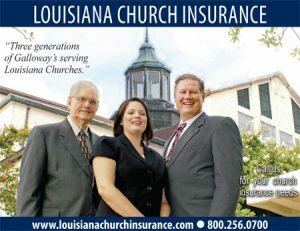 “Fight for our churches to make long-term investments and partnerships with missionaries. Help our pastors and churches learn what will help, what is strategic.